YouTube has been one of the phenomena over the last decade has revolutionized internet. The advent of online videos completely changed many habits and trends of network users. Especially when consuming content and information. They have also revolutionized the way companies, brands and advertisers looking to catch audiences through all kinds of experiences that are evident through these digital formats. However, the success of a few is not at all proportional to failure or unsuccessful attempts to hundreds of thousands. And it is that as already remembered recently, despite the success of some brands, most have failed to take advantage of YouTube. Online videos have become a powerful weapon for brands and the ideal support for moving traditional advertising spots to the network, to bear witness of viral brand experiences, to show the features and qualities of products, to collect what happened during certain acts and events, to present to companies and professionals, etc … the ways to take advantage of online videos are immense, but although we have sold the promise that through online videos we’ll get achievers in the door large, in most cases, the reality is quite different and millions of videos end up in oblivion, inglorious. Most professionals know very well that the production of a video may have associated costs much higher than we initially quantify. Production and post-production also require a greater investment of resources and time.And the result of all this, can be decisive in increasing the chances of success. All this of course, not forgetting the value of own content and context. Perhaps something far more important than has shown us that sometimes the improvised, natural and even absurd or “tacky” are not an impediment to certain authentic viral videos. However, there is no secret formula to achieve it, no one can guarantee to reach this milestone even with all the resources at your fingertips. Fashion viral and the rise of online videos, have led many companies to bet on content development under this format. Despite this and outside the major viral phenomenon, many companies end up check that their efforts are not worthwhile, or that their videos do not generate the desired impact.Or even worse, they not even reach a number of plays that reflect the content is being shared or viewed. There are many ways by which many companies fail their videos on YouTube. Obviously not all try to make their big viral videos, but at least they expect their contents to impact your audience and target audience.There is no point mount a marquee event and upload the video to the network, if the end reproductions are stuck in a few dozen. This indicator is revealing to us the reality of failure after many try to sell to the gullible as a success or a real blockbuster, when in fact only responds to two circumstances: Nobody cares or dissemination and promotion are not being enough effective. This means, that after all, video content, require much more than available with camera in hand to record any time and upload it to the network. The quality of content, how to present it, its context, are all aspects that can influence the success of it, but for it not invest resources and effort in developing a clear strategy to promote it, share and socialize, the most videos will be in the most absolute oblivion. 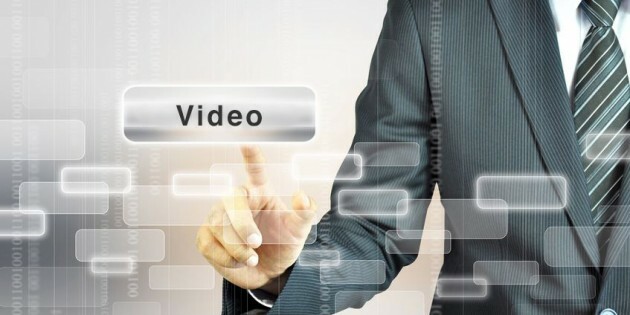 It is clear that video content are increasingly influential among consumers.41% of customers are more willing to share product videos than any other type of content. 60% of audiovisual content envision consumers is about products and 3 out of 5 customers spend at least two minutes to watch these videos that can help create more confidence and influence purchasing decisions, as well as claim 52 % of consumers surveyed. These are sufficient and weight for which reasons, brands can not ignore its potential, but we can not fall into the delusion that videos become another panacea and solution to all our ills and problems, nor are the definitive resource it can run by itself, without using the formula in another set of equally or more necessary even than the format itself on which we are working ingredients.